The short answer is not a whole lot. Remarkably, TLC provides a lot of bang for very little buck. Initially, we put the cost of an entire lab at $10,000 per school. This includes all lab equipment, the training of our volunteers and insurance. This cost will likely drop as our purchasing power increases and the cost of manufacturing our specialized teaching tools decreases. As we expand our program and exhaust our supply of volunteers, we will have the added expense of hiring professional teachers and the administrative staff to run a larger organization. To keep things simple and to guide you in making a donation, we felt giving you an idea of what some of our lab equipment costs might be helpful. 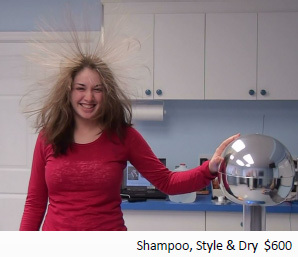 Maybe you would like to give an amount to purchase the machine that makes the kid's hair stand straight out? You know the one that gets the kids bubbling with laughter? 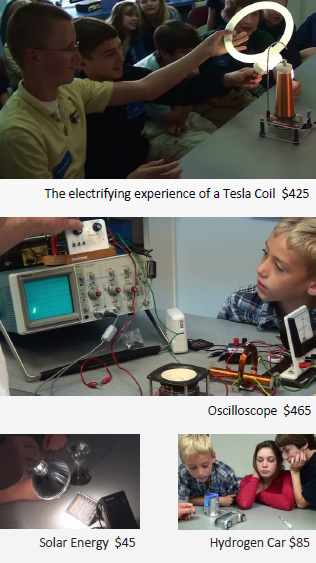 Perhaps you would like to know what the Tesla unit costs or the piece of test equipment the kids use to see the sounds of their voices and the invisible waves of energy? 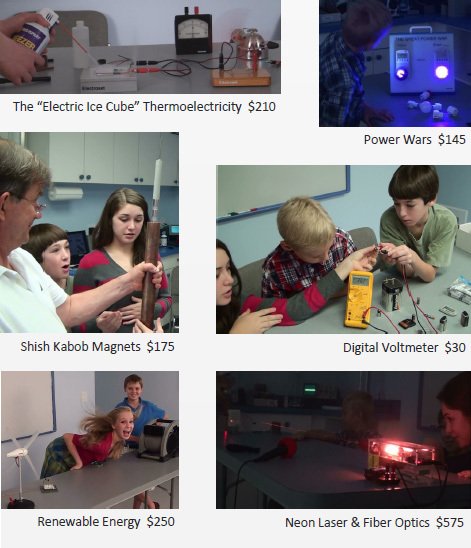 Here are a few photos of the kids learning and an approximate cost for each item. Our equipment is heavy duty and not readily available to the general public. Fabricated from durable materials, we carefully subject each piece of equipment to the rigorous handling of young people in real classroom environments. The ruggedness of the teaching tools we use will spark young imaginations for many years to come. Many of the devices we use are either contract manufactured or modified to exact TLC specifications. For a complete list of the equipment and supplies we use in our lab, please use the download button below.